te Riele, H.J.J. (1976, January 21). 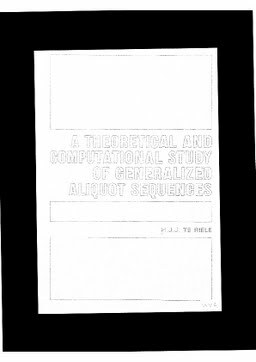 A theoretical and computational study of generalized aliquot sequences.